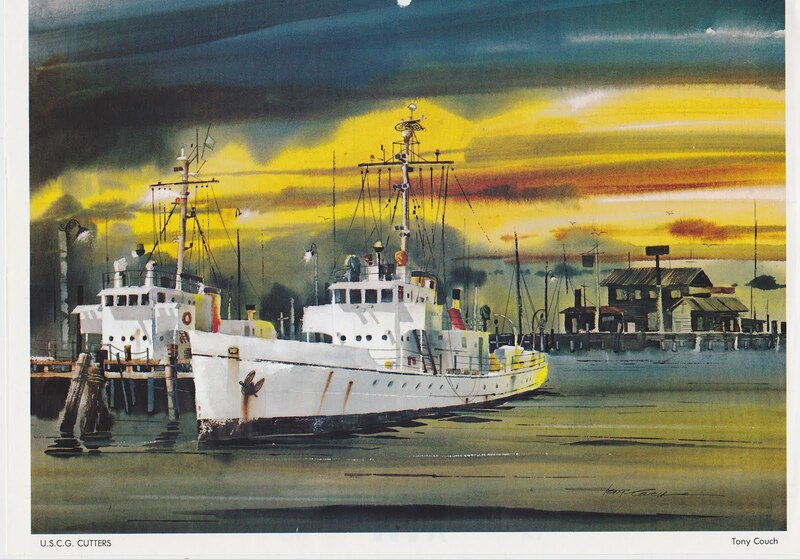 Rooftop Reviews: Guest Columnist: George Copna "Aboard the Cartigan in Panama City- 1962"
Guest Columnist: George Copna "Aboard the Cartigan in Panama City- 1962"
Panama City, not to be confused with Panama City Beach, in the 1960's was a "hopping" tourist town. There were, and still are, two major marinas in the city. One was in the downtown area and the other was in the St. Andrew's area, which is where we moored, starboard side to! During the summer months there was always a good deal of foot traffic on the marina, especially when a large ship was underway in the area. It so happened one summer day that we were coming in to moor after a day of drills. The Captain allowed the XO to conn the ship and bring her in to moor. I should mention at this point that the 'Cartigan' seemed to have a re-enforced bow and was once used to break ice up north in a river for a period of time. As usual, we were drawing a crowd of tourists and they were gathered about 25 yards from the end of the dock. I was RM2 at the time and my special sea detail billet was as sound powered phone talker on the bridge so I had a ring side seat for what was to come. Apparently, the XO brought the ship in a little too fast and at too steep of an angle and she got away from him. We soundly impacted the end of the concrete marina, the bow riding four to five feet up high, severing a large water line and creating a large geyser of water and chunks of concrete. This in turn sent the observers scurrying for cover, for which there was none, and the captain into shock. The XO maintained his cool, backed her down and tried it again, this time successfully. The bridge gang all had to muffle our collective laughter because it was indeed a sight to see. The only damage done was to the marina facility and the XO's pride. The saga continues! 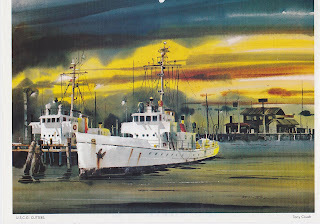 I hope you like this, because it is true to the best of my memory and it is published in a book about the Coast Guard here in Panama City. Would love to hear any stories you might remember about the ship. Also if you would like to share any photos - here or on Facebook- I know that they will be greatly appreciated. That ship was a big part of my teen years.